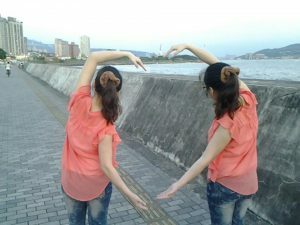 Do you want to produce photo where several of you appear? Clone camera enables you to produce easy and perfect clone photo on your phone. This is not just a collage app because it has no grid points. Clone Camera lets you appear in multiple scenes with the same picture. One good thing about clone camera is that you cannot track where the pictures are intersected. This is an interesting camera app. It could make one people split into many avatars with different posture in one photograph. And use from 2 to 4 split views to create a continuous action decomposition. The operation is simple to understand. With the assistance of transparent background compare adjustment, and the brightness / position fine tune function, it is easier to take the pictures. You can also redo to the previous shot. Moreover, you can save the outcome into memory card. And turn on/off flash during shoot. Try it! To take fun and wacky photos! (Please Note: You need to insert memory card to save pictures! If you need to view all shot images, please use file explorer to view the images which file name start with Clone Camera in root directory of memory card or press the open file icon in Clone Camera).